It’s hard to believe that the legendary Bob Marley passed away thirty-three years ago this past May. While he may be gone, he’s certainly not forgotten. No, far from it. I was surprised to learn that Bob Marley is one of the most important and influential artists of the 20th century. In the digital era, Marley has the second-highest social media following of any posthumous celebrity, with the official Bob Marley Facebook page now surpassing 69 million fans, ranking it among the Top 20 of all Facebook pages and Top 10 among celebrity pages. 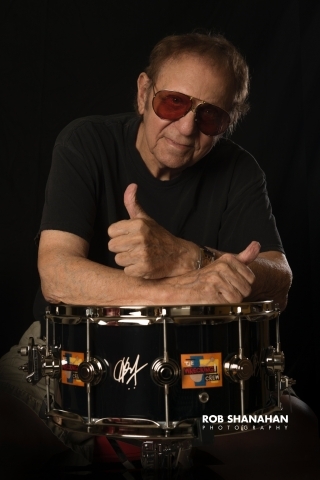 His music catalog has sold more than 50 million albums worldwide since 1992 and his accolades continue, including an induction into the Rock and Roll Hall of Fame (1994), a GRAMMY® Lifetime Achievement Award (2001), multiple entries in the GRAMMY® Hall Of Fame and the Hollywood Walk of Fame (2001). Bob Marley was the first Jamaican artist to gain worldwide fame. A musical, political and even spiritual icon, a figure of almost mystical proportions, no artist has so dominated his genre in the history of modern music as Marley has reggae. The Uprising Tour ran in Europe from May 30th to July 13th, 1980, with five further dates in the USA in September. It was Bob Marley’s last tour before his tragically early death in May 1981 at the age of just 36. The tour was in support of the Uprising album, (released June 10th 1980) and just a few days later, this show would be filmed from Dortmund’s Westfalenhalle. Now, Rockpalast is presented here on DVD for the first time, with footage fully restored under supervision of Cedella Marley and Ziggy Marley. 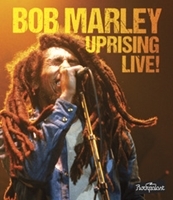 The DVD is entitled, “Uprising Live!” and is the first ever DVD release of this classic concert, which originally aired on the famed German television series Rockpalast, from Bob Marley’s final tour. On “Uprising Live!,” Bob Marley is in superb form and delivers a set full of energy and charisma, including the icon songs “No Woman, No Cry,” “Exodus,” “I Shot The Sheriff,” “Redemption Song,” “Is This Love,” “Jamming,” “Get Up, Stand Up,” “Could You Be Loved” and many more. The show opens with a short set by the I Threes – Marley’s backing vocalists – who traditionally would perform a few songs before Marley took the stage. February 6th 2015 will be, what would have been, Bob Marley’s 70th birthday and, with very few Bob Marley live concerts available on DVD, “Uprising Live!”, will be a welcome addition for any fan and just in time for holiday shopping.